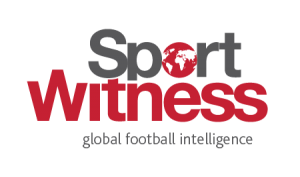 It’s always hard to keep up with all the transfer rumours which our clubs get involved in, but some West Ham fans might remember the Moussa Marega saga from last summer. With the player’s agent saying the striker dreamed of a Premier League move and the Porto president confirming meetings with the Hammers, it was pretty clear that something was going on. It was reported that things didn’t go through because West Ham couldn’t reach the player’s release clause at the time, which was €40m. Although Marega signed a new contract this season, the price stays the same. Now newspaper O Jogo comes up with some news today saying the striker could still move to the Premier League. And although they don’t make it clear if West Ham are still interested, their hints leave this possibility open. O Jogo recalls that the player got ‘close’ to moving to the Hammers last summer, and says that this time, three Premier League clubs are interested in him. 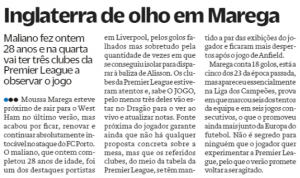 They say these clubs watched Marega in action at Anfield last week, and after becoming impressed, they will now be at the Estádio do Dragão to scout him in the second leg of the Champions League quarter finals. O Jogo refers to the clubs as ‘mid-table sides’, which could well be West Ham, since they’re currently 11th in the Premier League. And which Premier League club scouted Porto at the weekend? West Ham.